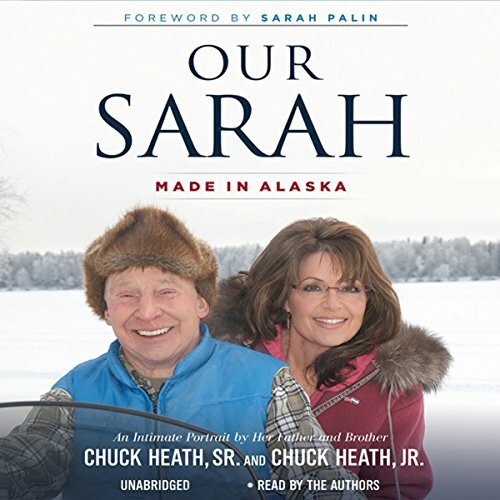 Showing results by author "Sarah Palin (foreword)"
Narrated by: Chuck Heath, Jr., Chuck Heath, Sr.
We may think we know Sarah Palin from all the coverage she has received in the political arena, but one-side depictions but media coverage is limited and, Sarah would even say, biased. Our Sarah is also a bit biased since it's written by Sarah's dad and brother with contributions from many friends and colleagues - these are the people who know her - and love her - best. Here are intimate stories from Sarah's life along with a celebration of growing up in and sharing all that Alaska means to Sarah and her family.